This handy towel ring has a nice sized hoop for the easy hanging of towels. Part of a larger bathroom accessory collection that is the latest in contemporary styling and beautiful quality. 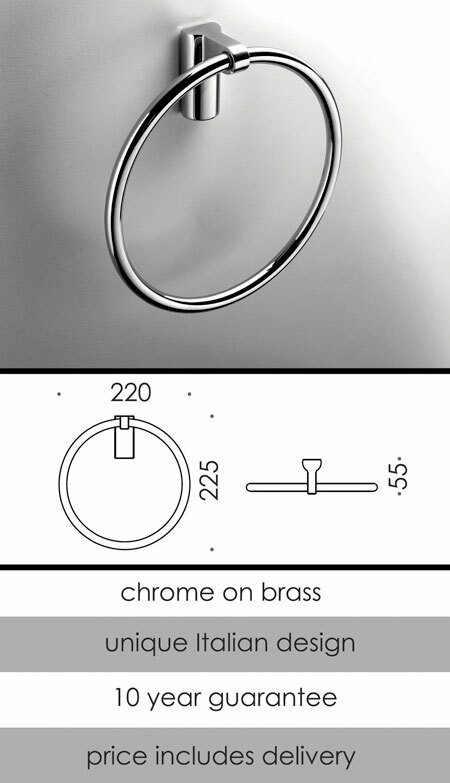 * Towel ring is 220mm wide.